An American Court Summoned Chief of Pakistan's Intelligence Agency ISI General Ahmed Shuja Pasha in Mumbai Attacks Case in which 4 Americans where also killed. Along with ISI Chief the Ameer of Jamat Ud Dawa Hafiz Saeed is also summoned to present in American court next month. Pakistan officials has shown hard reaction on this action of US court. Pakistani Prime Minister Yousaf Raza Geelani has said that ISI Chief will not go to US Court. Opposition Leader Ch Nisar called it a step against Country's Sovereignty. 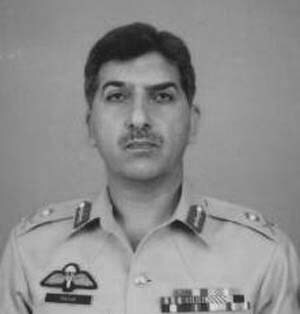 My Point is that before Presenting ISI Chief General Pasha in US Count for an unproved Case present Chief of American CIA in Pakistani Court for the deaths of hundreds of innocent Pakistani Citizens that are killed in American drone attacks that works under CIA. Recently many Relatives of innocent people that where killed in US drone attacks also sued CIA Chief in a Pakistani court after which CIA Station Chief in Islamabad ran away back to US.